Ample parking available on both sides of restaurant on Routes 263 and 202. Caleb's American Kitchen is a popular BYO New American restaurant helmed by Chef Caleb Lentchner. 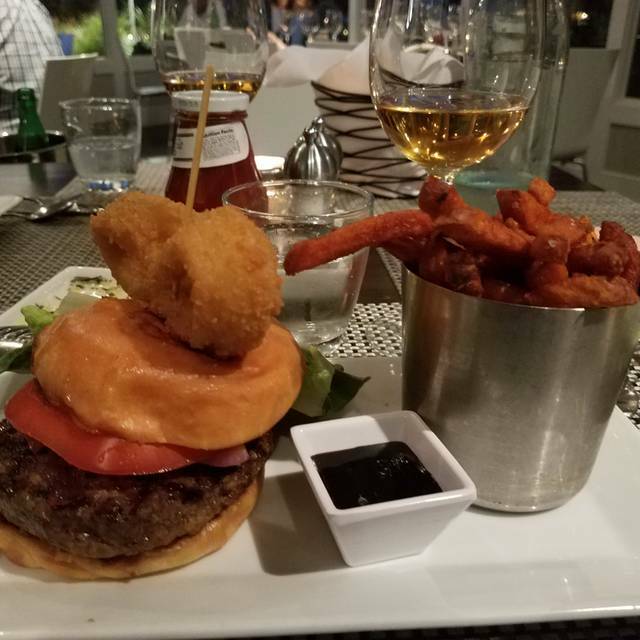 Inspired by all things American including steaks, burgers, lobster, shellfish, Creole, California and of course, local and regional farmers from PA and NJ. Caleb's is proud to recognize the gluten-free diner by offering gluten-free bread for all burgers and sandwiches as well as indicating GF menu items. Adjacent to Peddler’s Village in Bucks County, PA, Caleb's is open daily for breakfast, lunch and for dinner. Currently accepting reservations for dinner only. Great Easter brunch! Good selection of entrees and reasonably priced. Loved the BYO mimosas and bloody Marys! We have been coming to Caleb’s since it opened and have never once had a bad meal. The flavor combinations they create are unique and delicious, and the presentation of the food itself is mouth-watering. The meals are also affordable because it’s a BYOB. Relaxed but upscale ambiance. Always a wonderful experience! Excellent food and creatively prepared! Never disappoints! We always enjoy meals at Caleb's. Food is always well prepared and presented so well. Service is great. They are all so nice and treat their patrons well. Very professional. And more important...great food! We love the imaginative food and ambience at Caleb’s. We simply have a problem with one server that we seem to get far too often. She is terse and rude when waiting on us. When thanked for serving us for instance, she walks away without ever replying you‘re welcome or any common courtesy reply. Last time, she wouldn’t even tell us the specials saying “I know what you’ll order so why bother telling you the specials”. From the first time we went to Caleb’s, she was aggravated that we didn’t order the more expensive entrees! I presume she was most interested in a bigger tip! She has consistently appeared to dislike her job and in particular-us and therefore makes our dining experience less enjoyable. We dine out often, usually have a pleasant time, and find her attitude so off putting. When we’ve had other wait staff, we totally enjoy our meal. When Kimberly waits on us, it’s a downer. We didn’t want to complain to the owner because we didn’t want to make a scene and we love his restaurant but we hate to have to deal with this waitress! Monday Local's Night was fantastic and exceeded expectations. Chef Caleb greeted us at the door, which is a rarity. The server was very attentive and accommodating. She gave me options that were not on the menu for dessert as I am dairy and gluten free. They do a Burger night so we will be back to check that out as well. Its BYOB so the only thing I would say is the server really did not offer us drink options. She brought water immediately and asked if we needed wine glasses. We replied no, as we were not drinking that evening, but she didn't offer any other beverages, also did not offer coffee or tea with dessert. Missing the boat on that. Would have given 5 stars as I had thought in the past except for one annoying practice regarding the food which is the total lack of vegetable side choices. Last vist had the Cowboy pork chop which I often get which as usual was excellent (although a little smaller than in the past). It comes with "the vegetable of the day" labelled roasted vegetables but what I call Zuchini-squash crap especially toward the evening when it is woefully overcooked perhaps from sitting in the pot too long. When asked about a substitute the server nicely said only what may be served with the other dishes which except for a cold brussel sprout slaw all came with the zuchini crap! Come on Caleb, whats it take to have a few bags of broccoli, green beans, peas and or carrots on hand-don't think it would be a budget buster-Wegmans sells them for 99 cents a bag and you can even micro wave in a few minutes. Would be a very customer friendly thing to do. I came here with friends for brunch and there was a party going on so the noise level was high, though that wasn't the issue. The service was incredibly slow as a result, it took over 45 minutes for us to get our food. When we brought it up to the waitress, she was unapologetic. The food also came out incorrect - wrong temperatures on meat and incorrect dishes. Very busy for Sunday Brunch. Clean, modern, bright setting. Interesting menu. Been on our get there list, so glad we did. Always a wonderful experience. Food is delicious and well presented. Service is consistently helpful and pleasant. Thanks for a terrific evening! We were seated promptly Friday night and the waiter came over, rattled off the specials and took our wine glasses off the table. He then asked us if we were ok. My wife told him that she was bummed out now because the wine glasses were removed and I told him we were going to need them since we all had brought some. Guess he didnt see our wine totes on the floor - probably because he was in such a hurry. To his defense, the restaraunt was full. Still... He promptly set them back down and scurried away without a word. The rest of the night the service was minimal at best. Guess his knickers got in a twist and he didn't pay much attention to us until it was time for the bill and he was suddenly polite again. Sorry, too little too late. The owner and the rest of the staff were nice. The food was ok but nothing great. BYOB made the evening with good friends nice. I take my parents to this restaurant when I come up for visit from Maryland. Food is fresh and tasty. Ambiance is inviting. Staff is friendly and professional. The restaurant feels trendy with a touch of comfortable local joint. Really enjoyed the whole dining experience. The chef/owner (I think) gave us a free dessert liquor which was icing on the cake. Always great. No idea how many times we've been here. We'll be back. It's our "go-to" place. If it’s Monday, it’s Locals night at Caleb’s. It is reliably good food, great service, great presentation, BYOB restaurant. It is reasonable with a fun atmosphere and delicious local experience. Assigned 3 servers in 10minutes without mention of transition. No one lit the candles. No one offered ice for wine. My wife’s BDay and was noted on reservation but no mention. We were here a month ago and things were 100%. We’ll go back based on our first experience but service was disappointing to say the least. Food was great both trips. Another terrific night at Caleb's! Salads , entrees and desserts were amazing! Had a wonderful time and especially enjoyed the chocolate liquor treat at the end! Will be back again soon! Want to try the brunch! Our meals were excellent. Presentation was beautiful. This is one of our favorites. Everything was great about this place; the service, atmosphere, and of course the food. I wanted everything on the menu which means I’ll be back to try more. We had a wonderful meal for a Wednesday night. It was quiet, service was great and attentive. Food was wonderful. Being a BYOB you can't complain about the wine unless you bring some bad stuff yourself. Desserts were also great ! Loved the MONDAY prix fix meal. It was delicious and a good value. We brought some friends here a few weeks ago. They are from Allentown, more than an hour's drive away, and were so impressed they wanted to come back asap! So we brought them to Neighbors Night on Monday. Though choices are limited due to low price, the food was as excellent as ever. They were very accommodating as I am hearing impaired and they reserved a table for me in the corner for me on a busy Sunday morning. The good and the service was great. I liked the ambiance and light open space of the restaurant. While at first I felt like I may be on display, as the tables are close to the entrances, the noise level was acceptable and I was able to have a nice brunch with my love. Delicious food. Generous portions. Excellent service. Great service and delicious meal. Nice price point for 3 course fixed price meal in a Monday night. Will definitely return to try some other specials. one of our FEW most favorites in BUCKS! 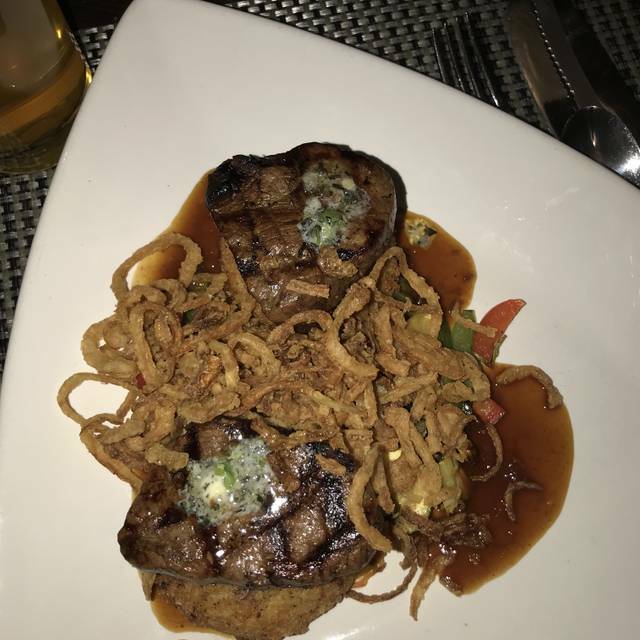 ALWAYS consistently good and just a GREAT local place to dine! I had a business lunch at Caleb's and found it to be exceptional. Fresh, carefully prepared food in a bright, and airy space. Service was completely professional. It pleased my contact, who was local, and, as it turns out, consider's Caleb's a family favorite. This is a cut above the rest in Lahaska and New Hope for fresh, locally-sourced and carefully prepared food. i will be back. Fantastic service, comforting atmosphere, and most importantly, AMAZING FOOD!!! We had what was probably our fifth or sixth brunch at Caleb's. The food has always been outstanding but the wait staff are also highly attentive and friendly. I would go back every Sunday if I could. Make sure you get reservations! We enjoyed early Sunday morning breakfast. Smiling faces and excellent food. Thank you Caleb for coming to town. Food was very good although the soup could have been hotter. We never mentioned the temperature of the soup because from the moment our waitress came to our table she seemed annoyed. Maybe it was an off night for her, but she just was miserable. We smiled and thanked her each time she brought us something but she was almost growling. Would go back but hopefully will get someone else to wait on us. Caleb's is a true treasure and a great find! The food is inventive with a menu that is constantly changing. The service is great. It is also a BYOB which is also great. A return visit after several years has us wondering why we waited so long. Service was warm, welcoming and attentive. Entrees were interesting, creative and very tasty. Crabcakes and beef tips were very good; the salads and sides made them even better. 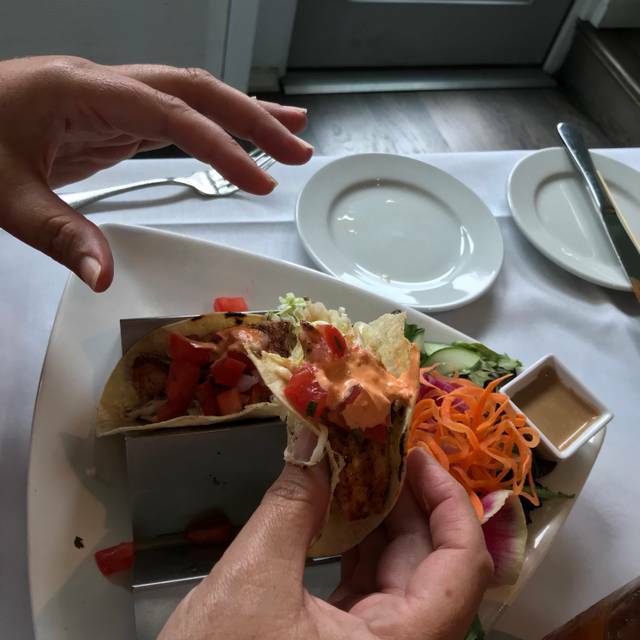 Ask for more NOLA remoulade for crabcakes and remember the restaurant is BYOB. 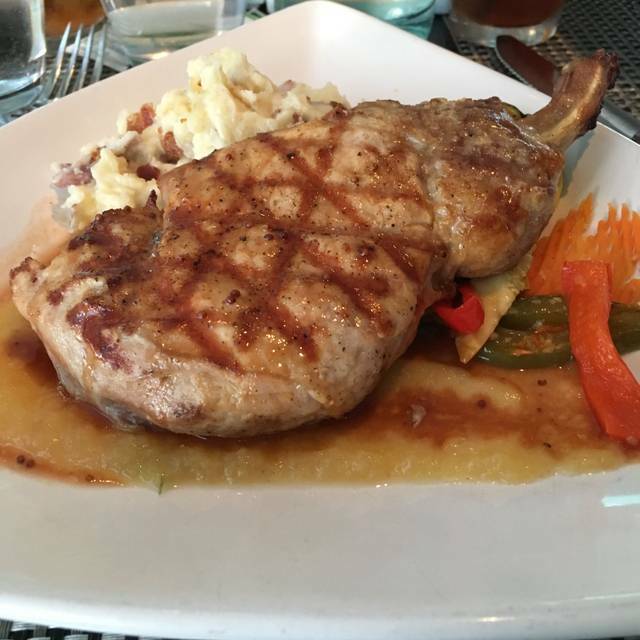 Caleb's has the best pork chops you've ever eaten! Been here many times, never disappointed. Their menu is just right. Great soups, salads, fish, vegan entree's and burgers.